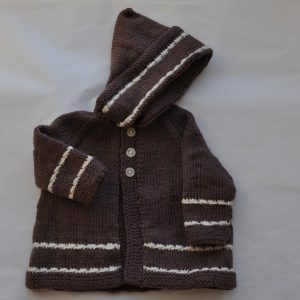 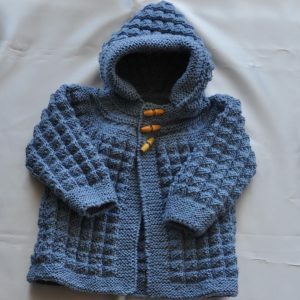 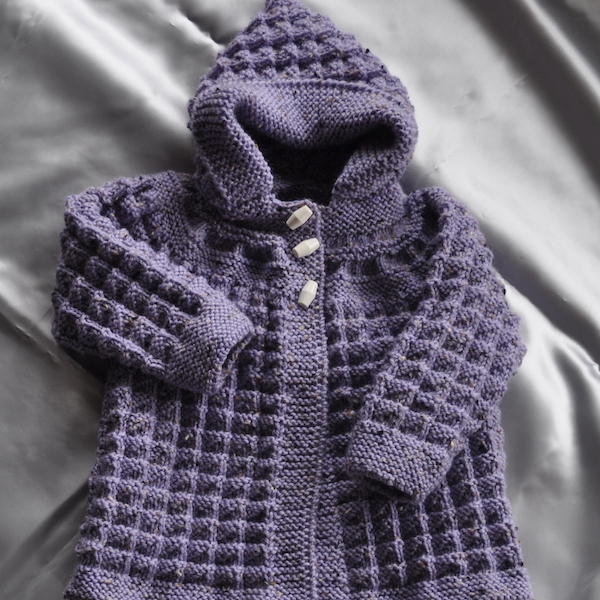 This jacket is knitted in a lavender-tweed style yarn and will fit baby from 6 months – 12+ months. 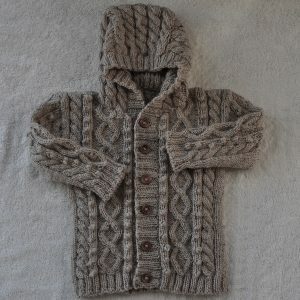 Hand knitted in Loyal Naturally Tweed 8ply (medium/winter weight). 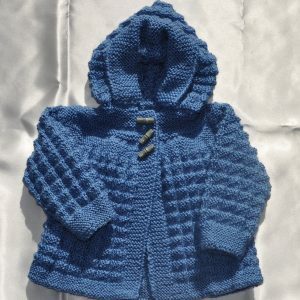 The yarn is pure wool but the tweed effect is a polyester.